There are more than 80 states which have tuna fisheries and its number is growing fast. If the tuna fishing continues as today's rate the tuna fish will face its extinction in near future. When is the World Tuna Day? What is the significance of tuna Day? What are the main Tuna products in industries ? 2 nd May 2018. The UN Celebrate 2 nd of every may as World tuna Day. It was first observed on may 2,2017. According to UN , tuna -like specious are the significant source of nutrition and economy of many countries both developed and developing countries. Since the Tuna being take part an important roll in nutrition its our duty to keep the number of Tuna in a balanced state. In Tinned tuna market , light meat species named skipjack and yellofin are widely used. In sushi.sashimi market fatty tuna of bluefin and other red meet species like Bigeye are used. Click the Image to buy best tuna oil. Tuna include around 40 specious in Atlantic, India , Pacific Oceans and Mediterranean Sea.Their annual global production has tended to increase continuously, from less than 0.6 million tonnes in 1950 to almost 6.6 million tonnes in 2010. In that year, the catch of the most important economically species (so-called principal market species) was 4.4 million tones. The tuna principal species we more that 10 billion US Dollars. The species are landed in numerous locations around the world by fishing vessels from more than 85 countries, traded globally (about 8% of international trade of seafood products) and processed and consumed around the world. 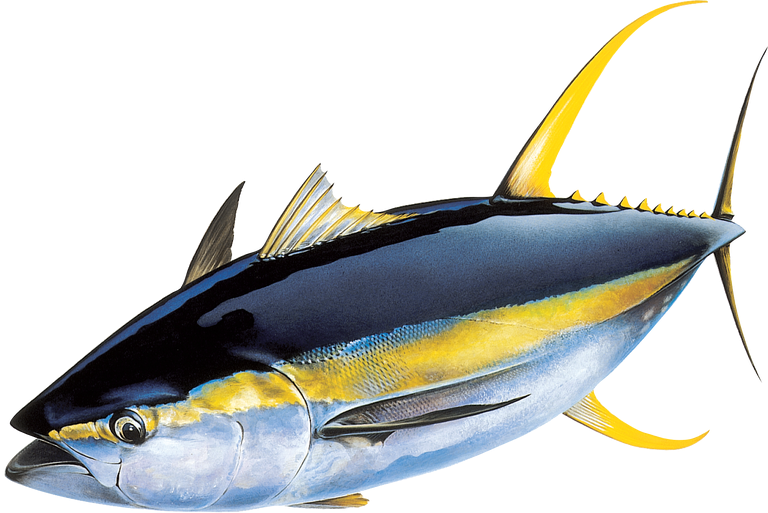 Some of the caught tuna are fattened in coastal sea farms before being sold to consumers as sashimi and/or sushi (originally a traditional Japanese delicacy, but now popular in many other countries). The prices of top-quality sea-caught tuna of certain species for this market have reached spectacular highs.